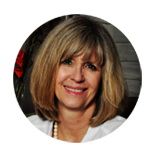 Engracia Gill has been a psychotherapist in West Lake Hills, Texas since 2002. Her deep and varied experience makes her uniquely qualified to bring warmth and insights to couples counseling. In my twenties, I earned an MBA from The University of Texas At Austin. I quickly found that I was in the wrong field and vowed to return to my first love, the study of the human psyche. I was thrilled when accepted into the clinical social work program at NYU in New York City. Transferring back to the University Of Texas, I completed my M.S.W. in Austin. Eager to put into practice the theoretical knowledge that NYU had instilled in me. To that end, I studied with one of the most learned psychotherapist in Austin, Arlene Montgomery LCSW, Ph. D., honing my skills to better integrate the intuitive with the theoretical. I am a licensed clinical worker (LCSW), licensed by The Texas Board of Social Examiners, License #36536. I trained and worked at North Austin Medical Center where I was exposed to a great variety of situations, disorders and populations. While doctors and nurses tended to the physical aspects a patient’s needs, I loved contributing to the patient’s healing process by advocating for his/her psychological well-being. I also trained and worked at Capital Area Mental Health Center where I was exposed to a diverse individuals and a wider range of psychological issues. Deeply convinced of the clinical benefits of support groups, I piloted a support group at this institution to allow for better integration of the skill learned in individual psychotherapy. As a school counselor in a private school, I worked with children from kindergarten through 8th grade. This experience taught me a lot about receiving back love as a reward for authenticity, firmness and playfulness. Personally affected by the war and trauma in my early childhood, I became fascinated with the healings effects of eye movement desensitization and reprocessing (EMDR), a specific mind/body therapeutic tool that addresses aspects of psychoneurommunology in the healing of post traumatic stress disorder, anxiety and depression. Five years ago, I trained in EMDR and have had great successes utilizing this technique with a variety of clinical presentations. I continue to explore other mind body techniques through the use of color therapy. I have completed 4 levels of training in Emotional Transformational Therapy (TM), a therapeutic intervention tool that combines the psychological benefits of exposure to light therapy with psychological benefits resulting in enhanced psychological and physical well-being. Engracia can conduct sessions in English, Spanish, and French upon request. Drawing from years of experience in the field of substance abuse and chemical dependency, I continue to bring support and hope to the adolescents, individuals, families and couples affected by the ravages of drug and alcohol dependency in an outpatient setting. To that end, I have studied the works of Pia Melody, John Bradshaw and Patrick Carnes, all specialists in the study of compulsive behaviors. I conduct couples therapy sessions, family therapy sessions and individual therapy sessions. Because of my love for the human psyche and my fascination with its great healing powers, I continue to deepen my understanding of recent discoveries in the field of neurobiology through literature review courses.